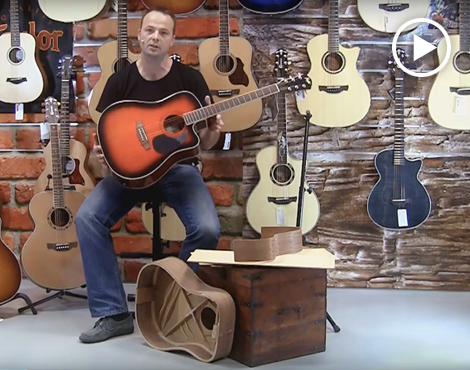 We are a company with 25 years old tradition in manufacturing, repairing and restoring musical instruments such as: electric, classical, acoustic guitars, electric and acoustic basses and upright basses. We developed many improvements and inovations such as: active electronics for upright bass and zither, active pick-up for Oberkrain music, our own flat wound strings for Oberkrain music, upright bass strings, procedure of improvement of old guitar and bass pickups that have problems with feedback. Currently we are producing/making archtop guitars for jazz and Oberkrain music. If you have any more questions regarding our work you can can send us a message by filling out the form below. We will be happy to answer all your questions as fast as possible. Currently there are no special announcements regarding working hours. I always go to Tomaž when I need help with my guitar and upright bass. Tomaž is precise with his work which is the most important thing. He is fast and very professional. Tomaž you don't only fix our instruments but also us. I take all my basses once a year to Tomaž to "tame" them. Because his service improves my tone, Tomaž is irreplacable for my bass guitars. I completely trust Tomaž. Whenever I need him he is fast and professional. I know that he takes care of all the guitars like they were his own. That is why I am happy to bring them to him for maintainance and service. My friend Tomaž is a master that takes great care of my "6 string girls". My guitars are in experienced and safe hands with you. I can rely on your quality work as much as on your punctuality. Tomaž as an expert and a person represents priceless quality that is especially hard to find nowadays. He does an amazing job. When you get your instument back you almost don't recognize it anymore. With his experiences he is already an "old" master in every sense of the word. Tomaž repairs everything! With Tomaž I value his respect to the instrument the most. Tomaž has the knowledge, he listens to your wishes and the guitar sounds exactly like you want it to. 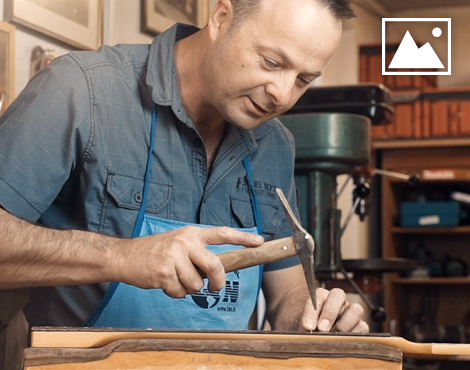 Tomaž is the only one who repairs my bass guitars and upright bass for many years. I believe I speak on behalf of many guitar players that we are happy to have such a master. Tomaž is for me personally the best servicer for upright basses and is the only one's advice I trust. Knowledge, experience and complete trust are reasons why I bring my instuments to Tomaž. Tomaž has been my servicer for over 10 years and always makes sure that the guitar works like it should. Tomaž is the only person that takes care of my "girls". With his excellent work, knowledge and experience he always makes my guitars flawless. Excellent manufacturer and servicer that always finds a solution no matter how demanding the musician is. © 2017 Ton - Tomaž Šinko s.p. Napaka! Preverite vsa polja in poskusite še enkrat.